Filming for the pilot of the new Wonder Woman show has begun and photo from the set has emerged. Earlier this month we got a glimpse of Adrianne Palicki in her costume for the new TV series being developed by David E. Kelley. The bustier definitely showed off Palicki's upper chest region, which gave some pause, but most of the criticism leveled at the costume was the shiny latex pants and the weird matching blue boots. A photo of Palicki in costume as Wonder Woman from the set of the pilot now reveals a revised costume that, while still boobalicious, at least doesn't quite look so trashy. The pants are no longer shiny spandex - and hopefully no longer squeak every step she takes - and the boots have gone to a more pleasing cherry red. 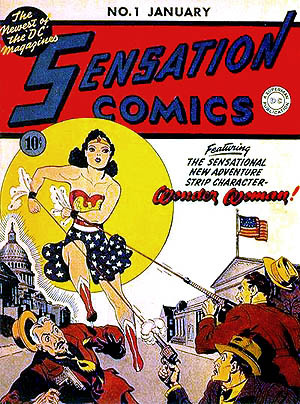 The whole getup is a far cry from the original costume occupied by Linda Carter in the show from the seventies, and is miles away from the short flowing skirt made famous from Wonder Woman's first appearance in January 1942's Sensation Comics. 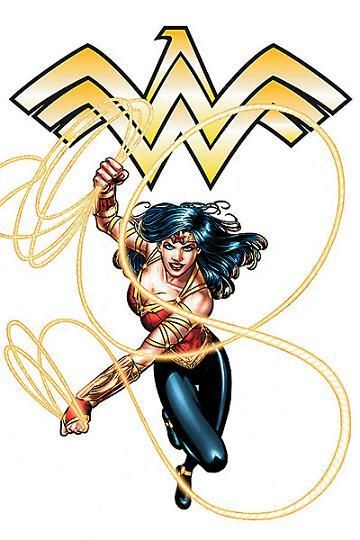 Personally, I think the show should use the rebooted comic imagery that cast the Amazon woman hero in a more modern outfit, but that's probably just me.